Who doesn’t love a delicious after-dinner dessert? The thought of it will make hundreds drool. 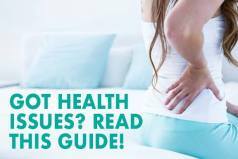 But, the problem of digging into that yummy cake, cookie or bowl of ice cream is that it is feeding lots of extra sugar into your body and this can affect the quality of your sleep. Studies show that the more sugar that you consume throughout the day, the more likely you are to wake up in the middle of the night. Even if you don’t fully wake up, the sugar running through your system can pull you out of a deep sleep, leaving you you exhausted the next day. A study conducted at Columbia University found that people who consumed a lot of sugar were aroused more without actually being awakened than those who ate less sweetened foods. They also reported feeling chronically exhausted, due to having a less restorative stage of sleep. In addition, consuming too much sugar throughout the day can lead to a major crash in energy. That’s why so many times you feel like you need an afternoon nap after eating that mid day candy bar! The cause of this is the reduction of the activity of orexin cell. So when you eat too much sugar, this reduction will make you feel drowsy. You need to do all it takes to keep your blood sugar levels steady and avoid these energy dips. So if you can regulate your daily sugar intake, your energy levels will remain balanced throughout the day and result in a normal sleep schedule, which means that you will wake up more rested! So avoid refined sugar and you will sleep more soundly. Refined sugar can be found in the soda you drink, juices, dessert, cereals and even BBQ sauce! And you may not realize that refined sugars are found in regular pasta, potatoes, white rice and white bread! If you replace these foods with whole grains and complex carbs, you will not only improve the nutritional value of your diet, but you will also improve the quality of your sleep. Experts are of the opinion that cutting down on sugar and eating meals rich in fibers will help you get a deep, slow wave sleep that your body needs. Fibers do not trigger a spike in blood sugar like carbs do, and they slow down digestion as well. 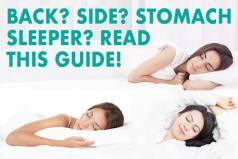 A few simple tweaks to your diet and choosing the right type of a mattress can improve your sleep and make you feel more energized. 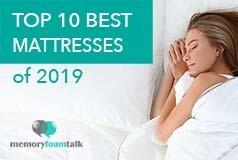 Click here to see our top 10 best mattress reviews and pick the one that will perfectly work for your needs and help you get enough of a quality and restorative sleep.